Many of you know that the easiest way to transform a look in your home is with some paint. 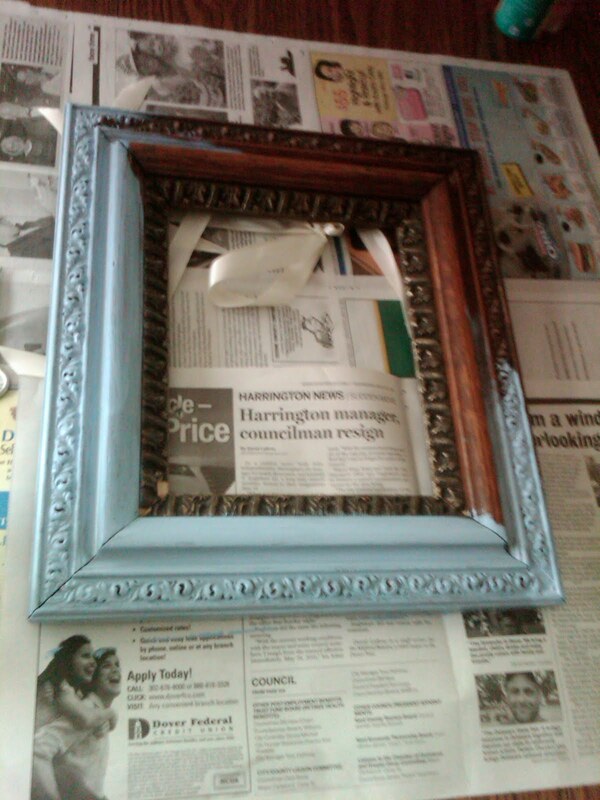 Well for one look in my home, I transformed an old picture frame into a piece of stylish beachy decor. 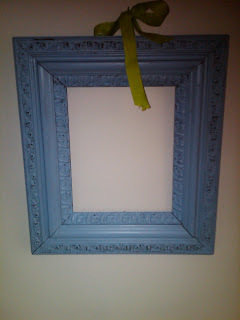 I have no idea where this picture frame came from and had a hard time finding any use for it except hanging it on the wall with a piece of ribbon and no picture inside. To give it a new life and purpose, I decided it needed some paint and a new ribbon. To my look which is in a little hallway leading to the bathroom is a few seashells, a wooden sign from TJ Maxx a votive candle holder with a few more seashells and a blue vase with christmas lights inside. A good way to show off some of your beach finds and tie the whole look together. I tried to keep my paint and the colors of these items in the same color family so the display doesn't seem so thrown together.